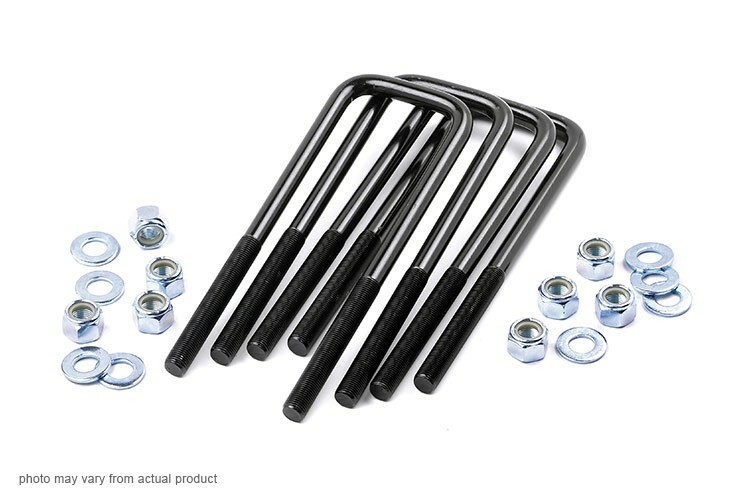 Replace your worn out U-bolts with Rough Country's durable U-Bolt kits! Our steel U-Bolt kits are offered in a variety of sizes and styles to suit any replacement or custom fitting. All bolts are e-coated black, making them corrosion resistant and ready to withstand the elements. Universal Fit - fits most makes and models. Compare measurments with currently equipped u-bolts.